Italy | Go Here! Eat This! I know. It’s been a while. You wouldn’t believe the pictures I have of all the food I’ve eaten with the intention of writing a post for you guys and just never got around to it. But once in a while, an experience comes along that you just have to share. Yesterday was that day. It was all kind of serendipitous really. My company put together this pizza tour and invited a few brokers and a few people from each department to come along. My boss and another colleague were supposed to go but neither could at the last minute, so there you go. I got the lucky ticket. The tour is actually one that runs regularly – they do private tours like we were on, or a public tour. They are called A Slice of Brooklyn and they offer a few different tours of Brooklyn. The one I was on was a pizza tour. Our tour guide was Marc, clearly an actor of some sort because he was on, funny, entertaining, etc. He really did make the tour. He was also a wealth of knowledge. Turns out he grew up in Brooklyn and was genuinely passionate about it (or just a really good actor) but either way it totally worked! We took the Manhattan bridge – I’m guessing so we could see and take pictures of the Brooklyn Bridge and got all kinds of interesting trivia about it. You can actually walk over the BB and get yourself to the first stop if you wanted to do that instead. First stop in Brooklyn is an area called DUMBO (Down Under the Manhattan Bridge Overpass) (Yes I learned that yesterday) Great area of Brooklyn where rents are on average more than Manhattan?! (Yes I learned that yesterday, too) Anyway – first stop was a place called Grimaldi’s. Apparently it is one of the top 5 pizza places in all the U.S.A. The pizza tour was about getting us to try two different styles of pizza and this first stop, the tour guide called Neapolitan (as in from Naples). Although, having eaten pizza in Italy, I challenged Marc on this, because this really isn’t the kind of pizza you get in the home country. 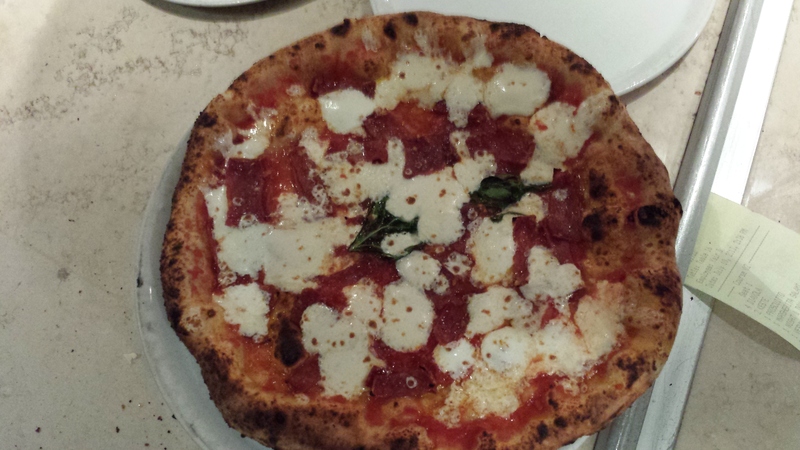 I would call this Americanized Neapolitan pizza aka thin crust. However, by way of American style thin crust…THIS is top notch! It’s the real deal folks and the crust is PERFECTION. And let’s be honest, the crust can make or break a Pizza. Next actual stop was Bensonhurst at a place called L&B Spumoni Gardens. That would be sauce on top of cheese so the bread doesn’t get soggy! Brilliant! 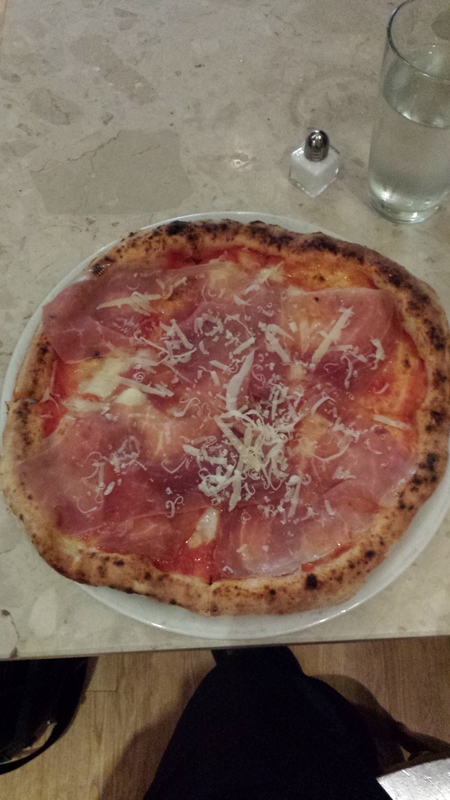 And, now, while I prefer thin crust pizza in general, this was fantastic Sicilian, probably the best I’ve ever had. They are also known for their Spumoni – which is ice cream like – and I got it because they said we should try it, but it’s nothing like gelato and if that is what you are expecting, just skip it as you will be disappointed. The last stop on the tour was Coney Island and Marc, our tour guide’s favorite stop. He was full of info about how much it has been cleaned up and improved and how they are fighting for more sections of it to be land-marked and not destroyed because Coney Island is iconic. I’ve passed but, I’m ashamed to say, have never been; however, we may make an effort this summer as I really think the kids would love it. After that we made our way back to Manhattan. The tour was about 4 1/2 hours long. It was educational and entertaining and all around yummy. You can catch the public tours out of Union Square for like $80/per person. However, we might be able to work on that price. So my recommendation is to get one of these tours, but if you can’t, just walk over the BB and go to Grimaldi’s! Go here! Eat this! Rafele is in the village. It is just off Morton Street on 7th Ave., but you can take the 2 or 3 and walk down a block or two and it’s right there. 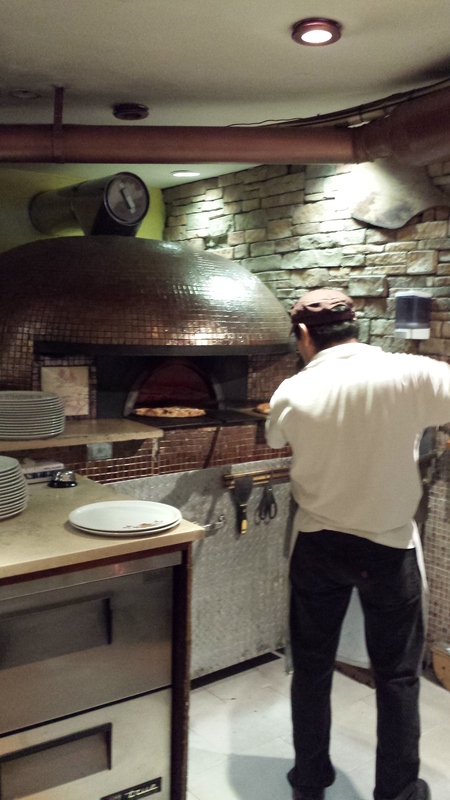 It’s a cute, warm, rustic little place, relatively inexpensive for NYC, but the food is authentic Italian cuisine. 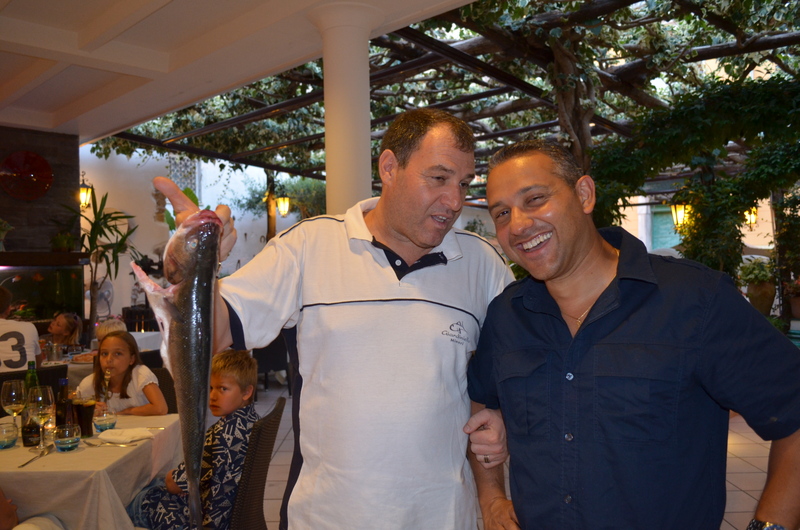 The chef, Raffaele Ronca, is from Naples, is extremely talented and always greets with a smile. The first time I visited was for a work dinner and we had a tasting menu for something like $45 per person. That is UNHEARD OF in NYC. Each course was better than the previous. 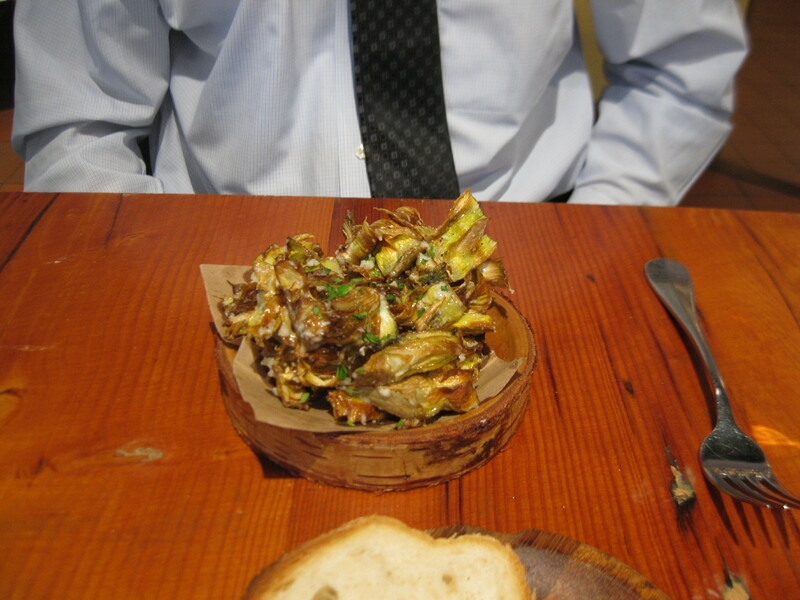 The first of the two dishes that stood out on my dinner visit was the zucchini blossom (fried zucchini flower stuffed with mozzarella or some yummy cheese) Yes, the flower of the squash. It’s pretty common in Itlay, but you don’t see it here much. On my second visit, I asked for it at lunch, but he didn’t have them prepared yet so I don’t have a photo. However, he did say he bought them that morning at the farmer’s market and was going down to the prep kitchen to prepare them. That’s how fresh they are. SO, I don’t have a photo, and they are really only around in the summer. Seasonal is the way to go anyway, but I highly suggest you try it, if you happen to be in NYC in the summer! 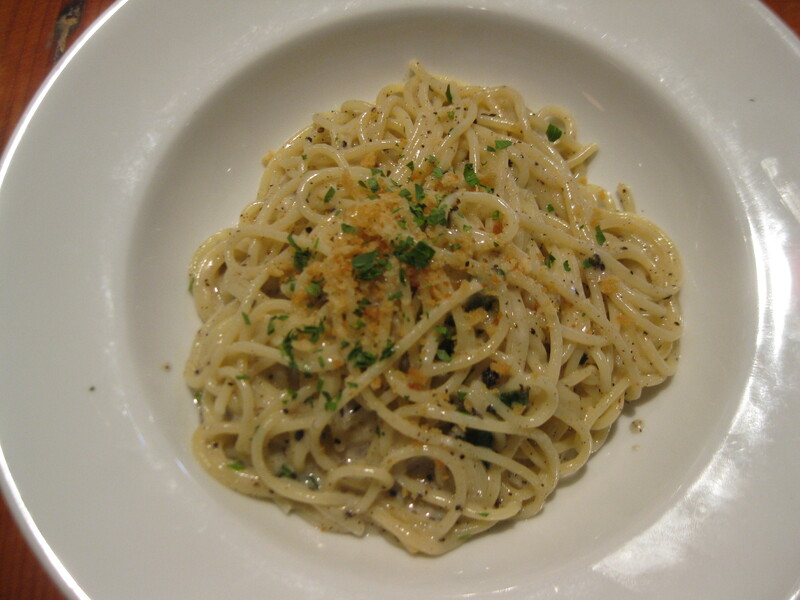 The second dish that was so memorable for me on my first visit was the Cacio e Pepe. I already told you this is one of my favorite pasta dishes and I’ve only ever had it in Italy! When I saw it on this menu in NYC, I HAD to have it. So I made sure it was served as one of the courses on my first visit. On my second, we ordered it so I could snap a picture for YOU. And it really is as creamy, cheesy and peppery as it gets. Perfection. These were crunchy little pieces of yum. 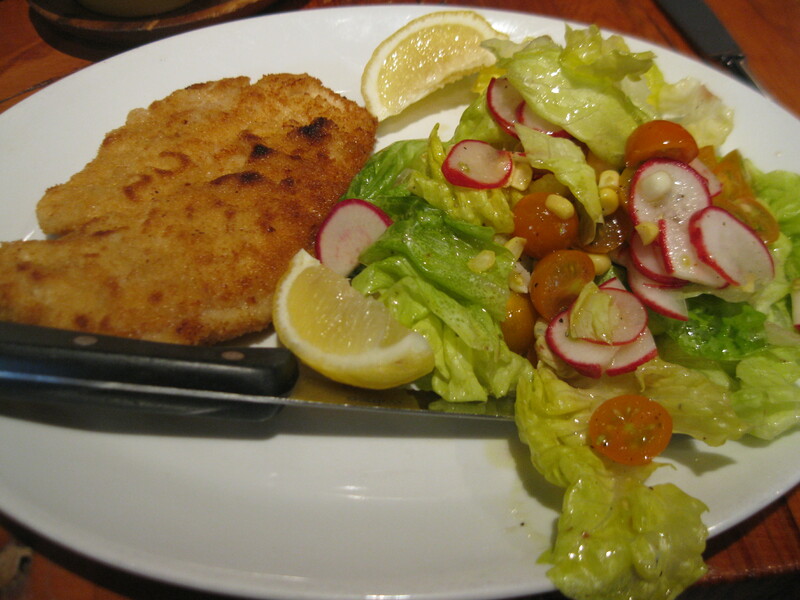 And because I didn’t want to carb out too much, I ordered Pollo alla Milanese which is just chicken cutlet essentially served with a salad. This chicken was moist and very flavorful. I like to eat the salad with lemon juice on top of the chicken. 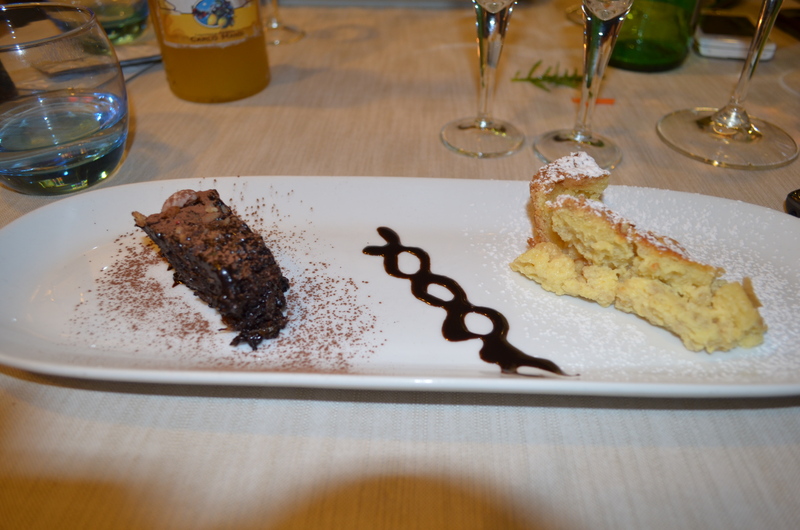 My Italian hubby, says no, you eat it separately, but what do I know? Either way, you can’t go wrong. There’s a drink there that everyone raved about. I think it’s called the Neopolitan. It’s vodka, fresh basil and ginger ale. Very different and everyone loved it. This is a great place to visit. 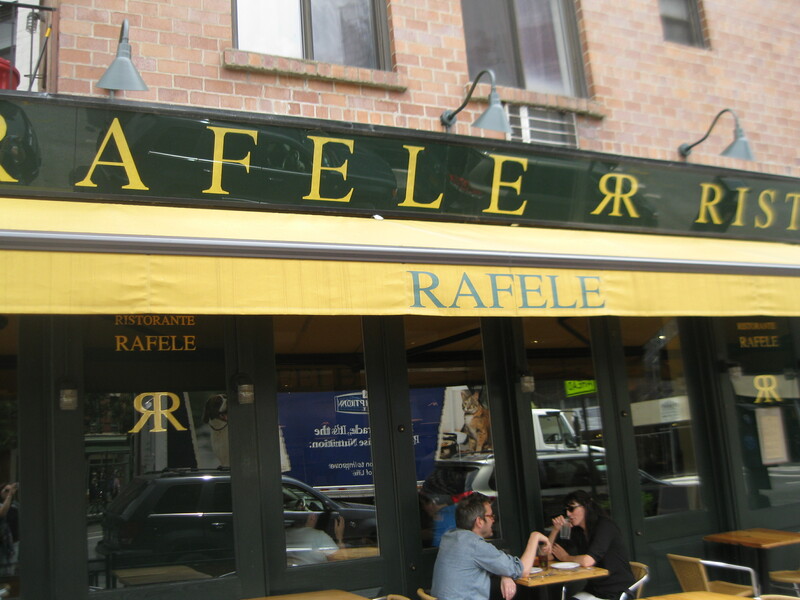 Rafele is reasonable, authentic Italian cuisine in the village. So far, everything on the menu has been tops, but definitely get the Cacio e Pepe. Go Here! Eat This! Now I’m hungry. And each pizza is made for one person. 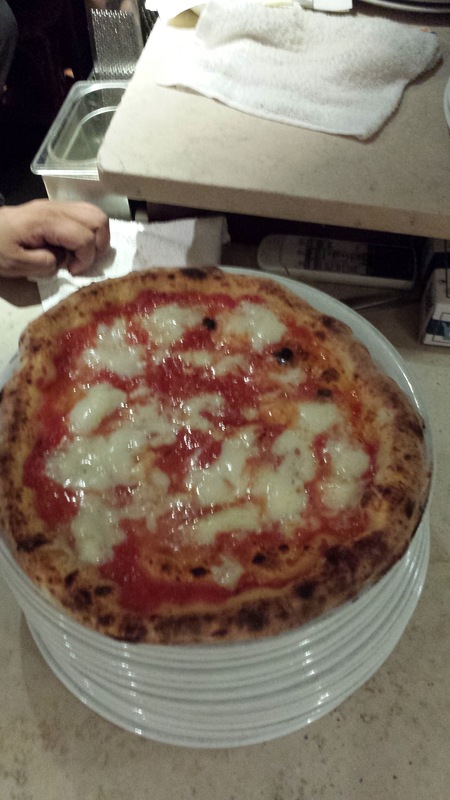 My personal favorite is called Pizza del Re (Pizza of the king) and is made with truffle cream. Kill.me.now. If you haven’t met truffle, put THAT on your bucket list because your life will never be the same. Unfortunately, I don’t have a picture of the Pizza del Re. It doesn’t look unlike the following pizzas which are all to die for. 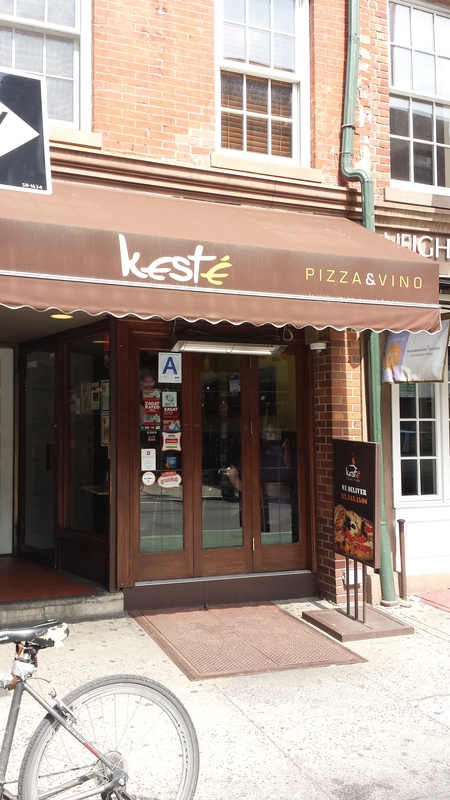 You might be wondering what Keste’ means. It actually means, “This is it.” It’s a fitting meaning because it really doesn’t get much better. Good news is that they have a sister restaurant on 50th and 8th called Don Antonio by Starita with a similar menu. I took some friends there at the beginning of June and introduced them to my friend the truffle. We ordered the Pizza del Re along several others. They are still raving. So take my word for it, or better yet try it yourself. Whether Keste’ or Don Antonio, Go Here! Eat This! Kind of ironic that a year ago tomorrow (4th) we were on our way across the pond to visit Nonno and Nonna in Italy. We have to skip summers now since we have 4 plane tickets to buy. My hubby and I are missing it terribly this summer, so maybe that’s why the trip down memory lane! In 2004, before children, we had the good fortune to spend a week on the Amalfi coast with my parents. 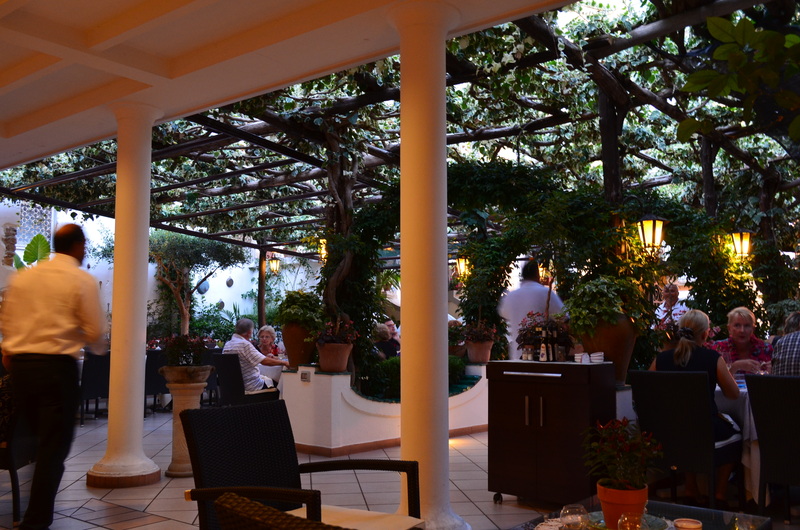 We hit Sorrento, Capri, Positano and by the time we got to Amalfi we were pretty tired. The Positano side of Amalfi is as beautiful as you see in the movies; however, it is a HOT spot and every American tourist is there. 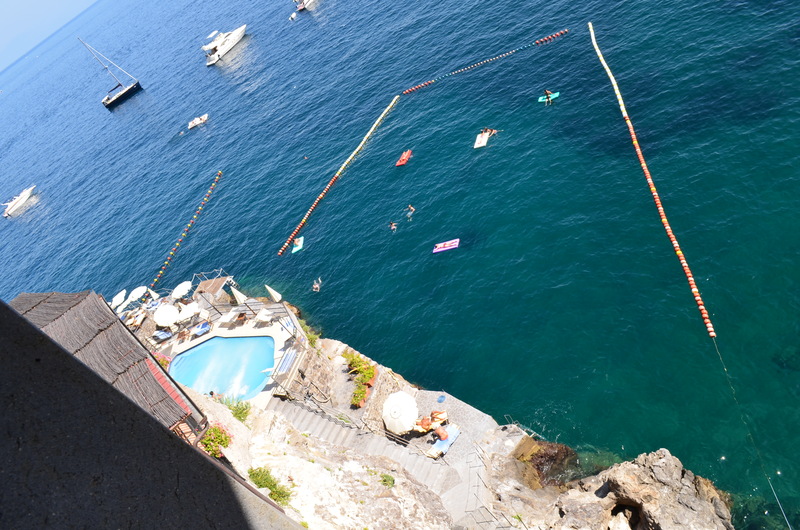 Last summer, the Italiano and I got away sans children for 2 nights down to the Amalfi coast again, but THIS time we hit the other side of the town of Amalfi. We got to see Maiori, Minori, Ravello and also got a better look at the beautiful town of Amalfi. 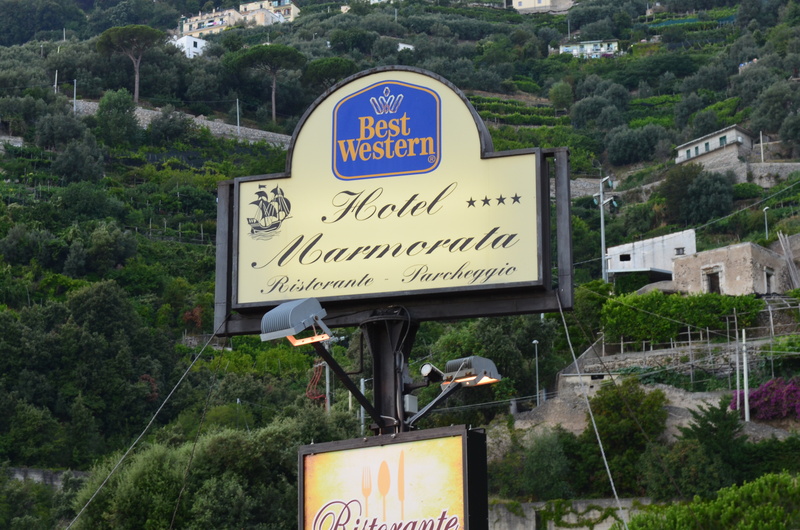 We stayed at the Best Western, Hotel Marmorata and I highly recommend it. It had a pool and private access to the water and a spectacular view. I digress, my post is supposed to be about FOOD, right? OK Food. My hubby, the Italiano, has a long history in the restaurant and wine business and just has a way of sniffing out (and researching) the best places to eat. Not only that, but he has NEVER met a stranger. So he asked the parking attendant at the hotel about Giardiniello Ristorante and the guy happened to be the restaurant proprietor’s cousin, so there you go. Tell him I sent you and all of that, and off we went. Giardiniello is in the town of Minori on the Amalfi coast. It has a garden and the proprietor is a jolly man. I absolutely love when the fish is so fresh you don’t even see a menu. They have the fish caught that day displayed out front, you pick your fish, they bring it back and ask how you want it done. 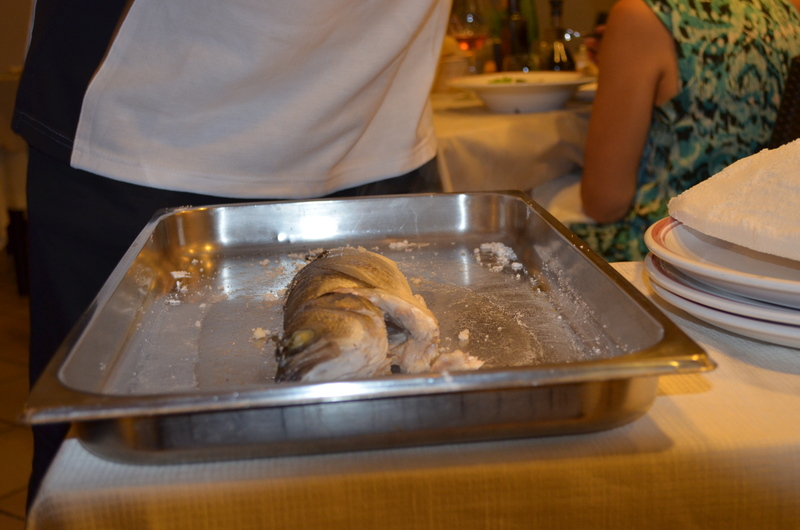 For the life of me I can’t remember the fish I got – some white fish – but I DO remember how it was prepared. 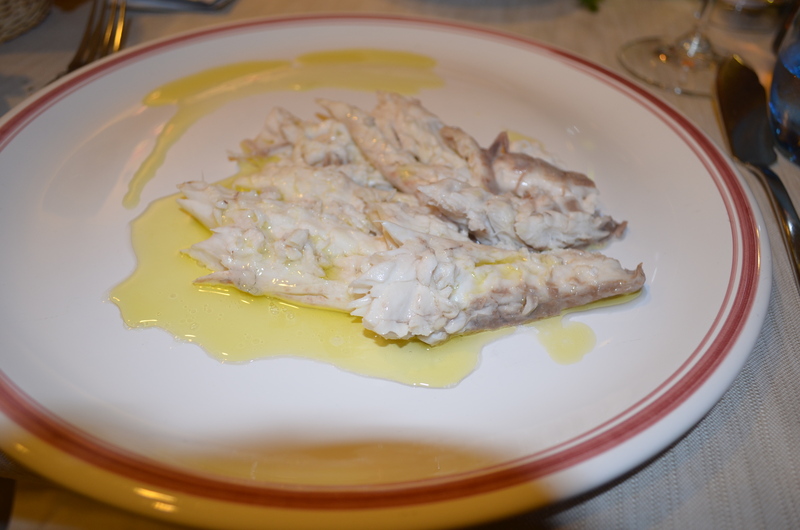 It was done in a salt crust, pesce in crosta di sale, (it wasn’t salty it was baked or steamed under this crust, see photo) and was drizzled with olive oil and lemon and so so tender, simple and delicious. 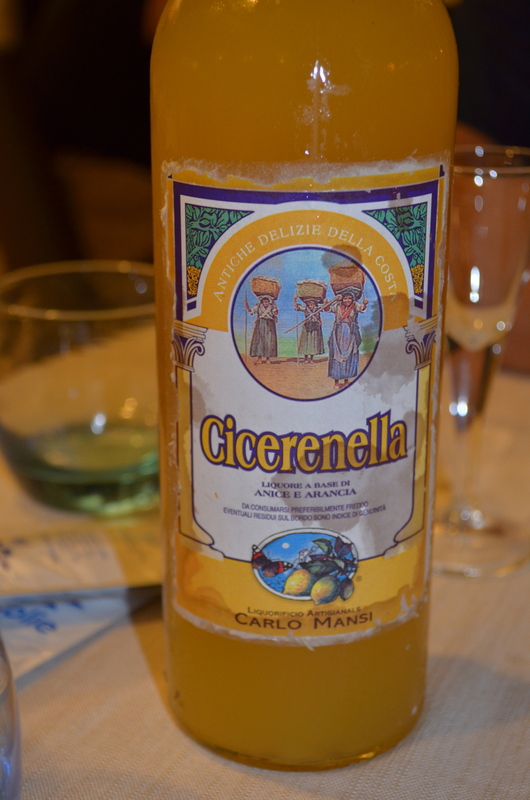 Dinner was followed up with Cicerenella (some kind of anice and orange liqueur) and chocolate eggplant dessert…a house specialty. THAT was interesting. 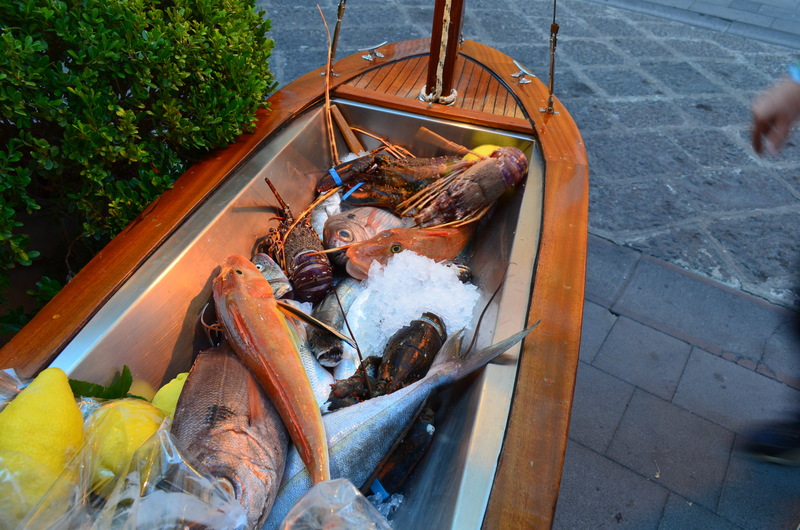 Nevertheless, if you ever find yourself on the other side of Amalfi, in the small town of Minori, definitely treat yourself to dinner at Giardiniello and try the fresh fish. 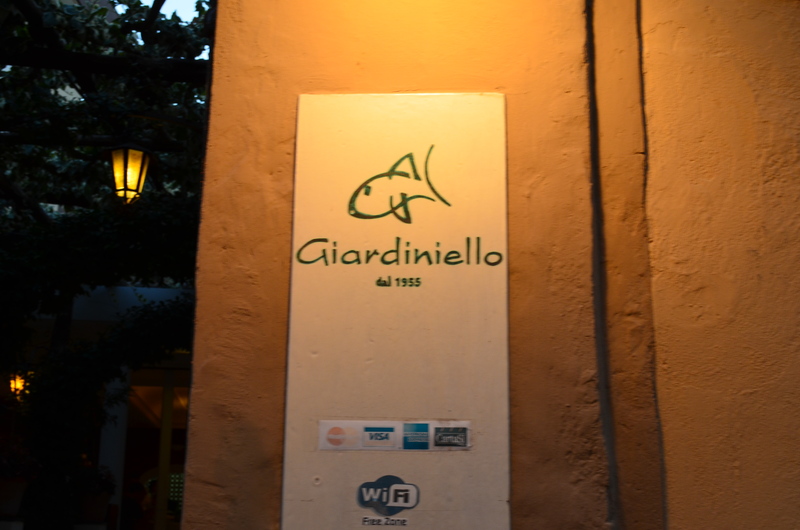 Without further adieu, when in Minori, Go Here! Eat This! 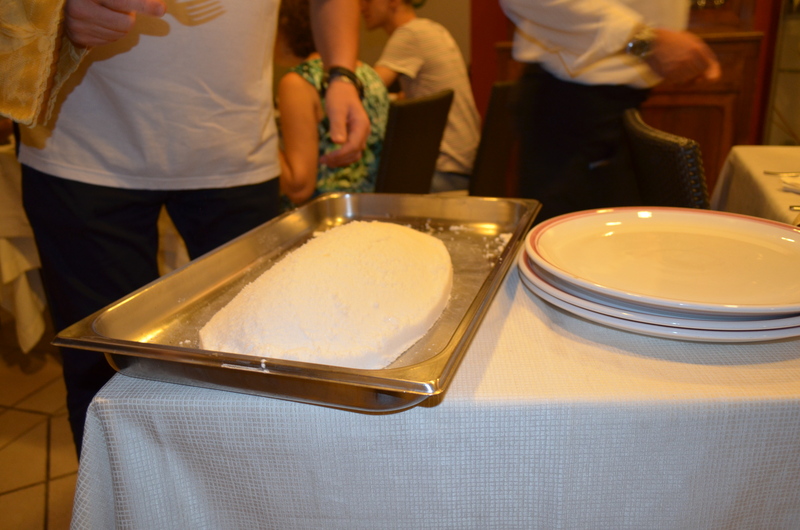 Last year, when we were in Rome, after eating Cacio e Pepe, I posted the below photos on my Facebook page and came up with the idea for this blog. So, I thought it was appropriate that this be my first post! Enjoy! My husband is from Italy and we have been blessed to be able to visit frequently. His folks live just outside of Rome, so needless to say, next to NYC, we have this place pretty well staked out. What we have learned is to NOT, I repeat DO NOT eat in Piazza Navona. The food is expensive and usually not made fresh. 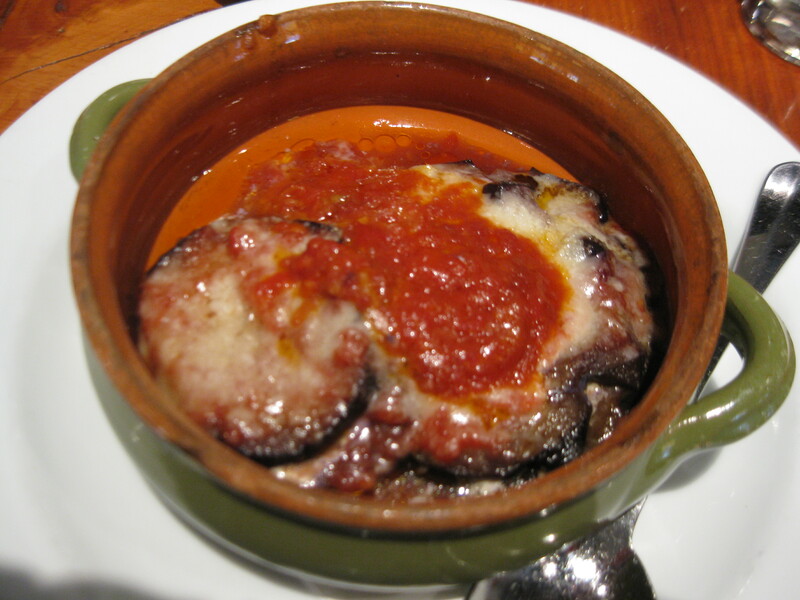 However, if you travel just a few blocks outside of Navona or the Pantheon you can get a great dish. 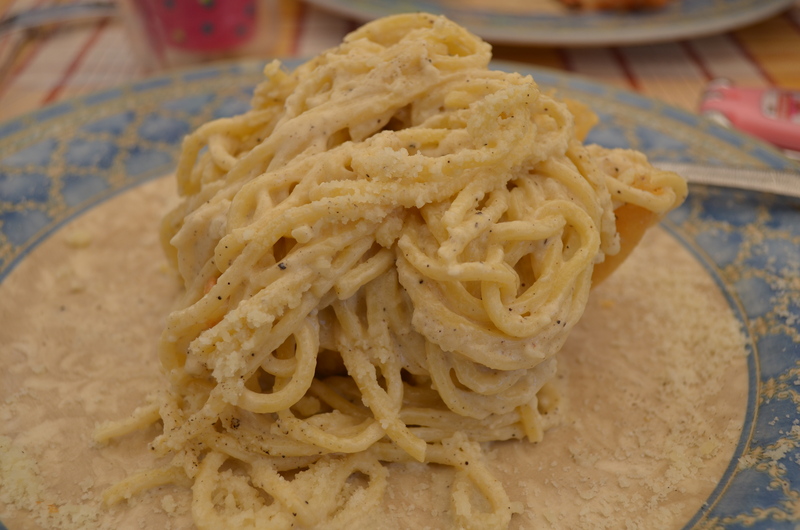 One of my FAVORITE is a very simple pasta dish called Cacio e Pepe. It is creamy cacio cheese with pepper tossed in pasta. We found a nice little place outside a few years ago and we go back every time. 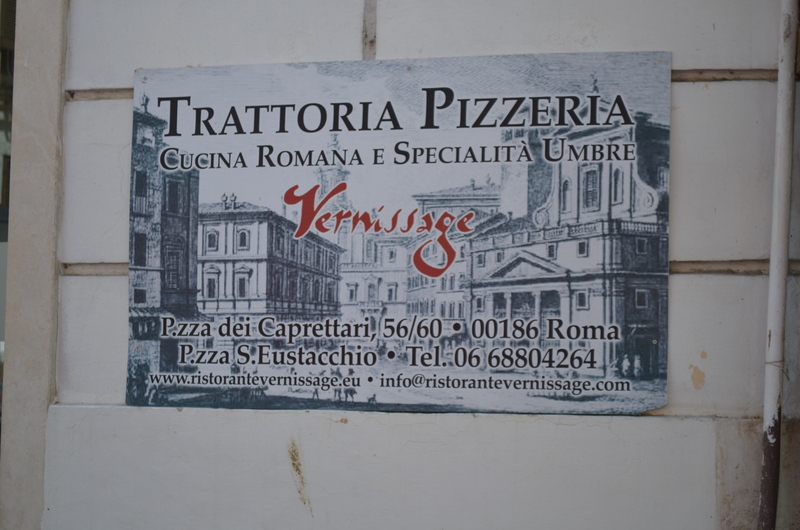 It’s in a tiny little Piazza called Sant’Eustachio (oostakeeo) and the place is called Vernissage. The Cacio e Pepe is served in a bowl of baked cheese and is to die for. The Carbonara and Amatriciana are also very good and when you are there are classic Roman dishes that you can’t beat…but take my advice, when in Rome…Go here! Eat This! myfairl2 on World: Meet the Bonut! Biscuit Love on World: Meet the Bonut!